The Canon 6D is a remarkable camera, a big bang for the buck. Though it cost less than £1500 has cost me a huge amount of money. The 6D has many strong suits, small, light, quiet shutter, great low light performance but its killer feature is Wifi. So far so good 'only' £1500 spent, where could it possibly go wrong? Well it has, in the very best possible way. A few years ago I bought one of the very first Phase One P65+ backs and I have been very happy with it. In some ways I could not see how it could easily be improved over the short term to make me part with my hard earned cash, it has been my mainstay for 'The Forest' series which is due to debut its first phase in full at the Pingyao International Photography festival in September. The all new IQ backs came along and with their new wonderful touch screen LCD and up to 80MP I was impressed, but not quite enough to pull the the trigger. I felt that there was something else coming, some further potential to be unlocked that Phase had not owned up to. With the IQ2 backs my suspicions were confirmed and reliable WiFi made a bow. All of a sudden it made sense, with no need for a laptop to shoot 'tethered' with challenging and complex setups. After the 6D experience I have come to realise that day is now. There are all sorts of clever and highly lucrative jobs I have lined up for this back. 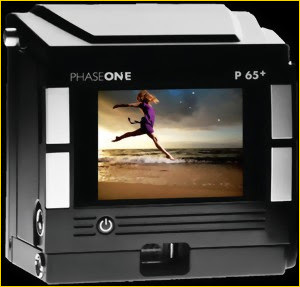 I went for the Phase One IQ280 as tempting as the IQ260 was with its capability of one hour exposures. It is a sizeable investment BUT as I said the WiFi capability more than justifies the investment which I believe will cover itself quite quickly. When I take delivery next month I will share my experiences with you. Am I missing something, or have you yet to explain why you need to spend more on the 6D? The side story of the phase one I can't relate? The point I was trying to convey, clearly not very well after a long hot journey home on the M25, was that I can do some really clever things with the 6d and I'm doing so right now. I want to do the same with medium format but currently can't as my P65+ does not have wifi. The 6d has confirmed my suspicions about the potential of wifi in cameras and that if I want to do the same with medium format an IQ2 back is the order of the day. So seeing just how good wifi in the 6d is has encouraged me to spend money on a wifi Phase back. I hope it's a bit clearer. Drew, just to confirm, can the 6D send RAW files to one's computer using its in-built wifi (ie. camera creates a wifi network)? Ie. shoot RAW thethered via wifi? Glad the Wifi is working out for you Drew. I don't have a need for it, at least not right now. I guess I'm not that clever ;-) Can't wait to see where you'll be putting these things. On the new Phase - I keep telling people who keep yapping endlessly about medium format that if you really need it, you'll just know. So I trust the upgrade reasons are important to you, and that's all that really matters. Apparently you CAN transmit RAWs from the 6D via Wifi, it is something i have not actually tried but after a little trawling on the web I found a few folk who said they were doing it. Why have I not even tried? We'll it is on my to do list to explore and exploit all the features but sending RAW images over current WiFi protocols would be akin to watching paint dry, some people WIIL want to do this, but the smart money so far is reading what is on the card, it is fast and reliable for my purposes. It’s amazing to visit near coastline Rent Any Boat or Yacht in Dubai, perfect for party, picnic, and leisure. Get Exclusive Yacht Rental Dubai on minimal rate to make your trip memorable and sweet.